Island Timberlands willing to discuss selling — for the right price. Mar. 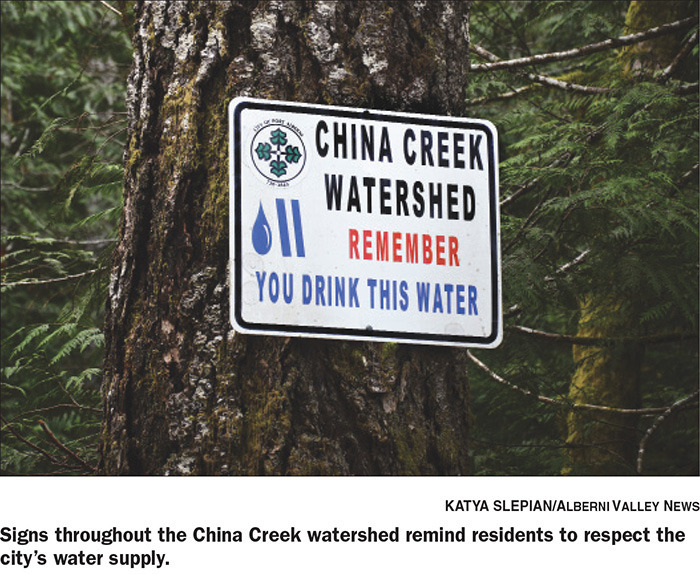 26, 2015 12:00 p.m.
Island Timberlands will not stop logging in the China Creek watershed unless there’s a serious purchase offer on the table, says Morgan Kennah, Island Timberlands manager of sustainable timberlands and community affairs. The timber company believes that their logging practices don’t endanger the city’s drinking water supply. According to Kennah, Island Timberlands’ (IT) logging practices are sustainable and do take into account environmental values. “We live in coastal B.C. so there’s usually a creek somewhere, if not many creeks. So you’re looking at water, drinking water in this case, you’re also thinking of fish habitat,” Kennah said during a tour of the watershed last week. The company takes that into account by leaving a buffer of some size between the logging and the body of water. “It all depends on the size of the water body, really,” she said. That retention ranges from 10 metres to 30 metres away from the water depending on whether it is a drinking water source or if fish are present. Logging on private lands is managed by the Managed Forest Council, a branch of the Ministry of Forests, Lands and Natural Resources which lays out regulations and guidelines for buffer zones around creeks, lakes and other bodies. 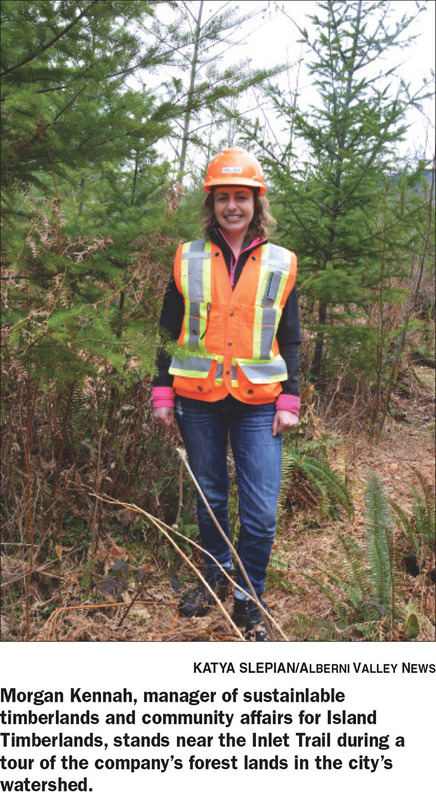 According to Kennah, IT also voluntarily imposes stricter regulations on the logging contractors it employs. 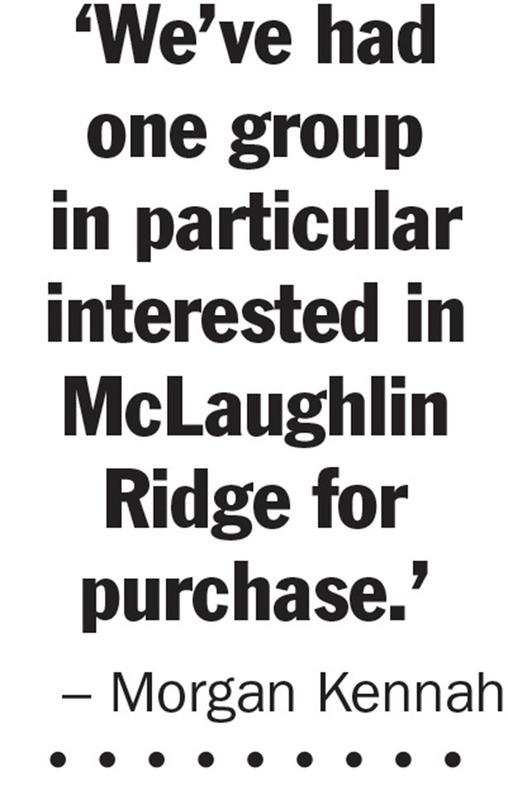 Much of the concern has been focused on McLaughlin Ridge, a steep slope above the city’s water supply. This is the same area that local environmentalists are interested in purchasing. Jane Morden of the Watershed Forest Alliance, a local environmental organization, has said previously it’s hard to pin down funding and interested parties when the landscape of the land in question isn’t guaranteed. 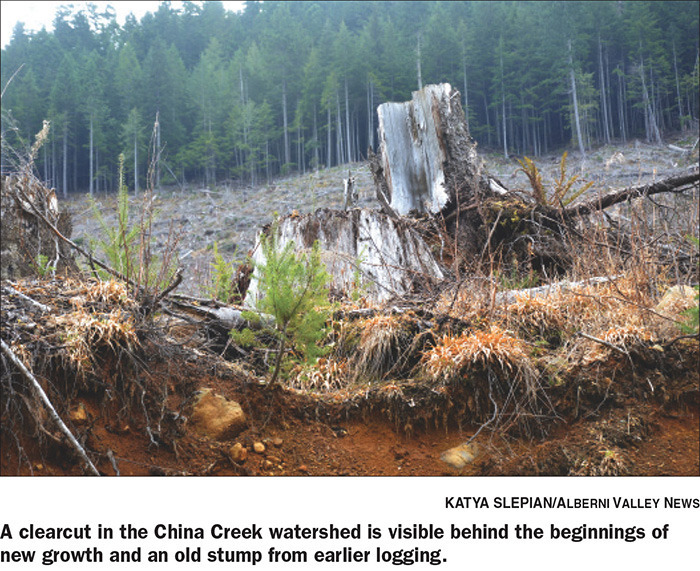 Kennah said there were no parties interested in the China Creek watershed where the negotiations had reached a point where a pause in the logging might be considered. However, Kennah said that IT is in negotiations to sell environmentally sensitive lands on the south Island, although she could not disclose details. But for 2015, “as far as up on the steeper slopes, we don’t have a plan to harvest…[the trees] will look pretty much the same,” Jacques Prairie, area engineer for Island Timberlands, said. While Kennah did say that the elevation changes in China Creek are “striking,” Prairie added the company takes measures to protect the integrity of the steep slope. As far as purchasing the land, Kennah emphasized that any negotiations and details would be subject to a legally binding confidentiality agreement. For any interested parties however, the message is simple; Island Timberlands only wants “people that have money and are actually willing to purchase,” Kennah said.